Vodafone's Rs 199 plan will now give users 1.4GB 3G/4G data per day, compared to 1GB daily data previously. A look at Reliance Jio's Rs 198 offer and Airtel's Rs 199 prepaid plan. Vodafone’s Rs 199 plan will now give users 1.4GB 3G/4G data per day, compared to 1GB daily data previously. A look at Reliance Jio’s Rs 198 offer and Airtel’s Rs 199 prepaid plan. Vodafone Rs 198 recharge offer has been revised to give prepaid users more data per day, a move aimed to counter Reliance Jio. Notably, Airtel also revised a couple of its prepaid plans recently, to offer more data to users. Vodafone’s Rs 199 plan will now give users 1.4GB 3G/4G data per day, compared to 1GB daily data previously. The validity is 28 days. 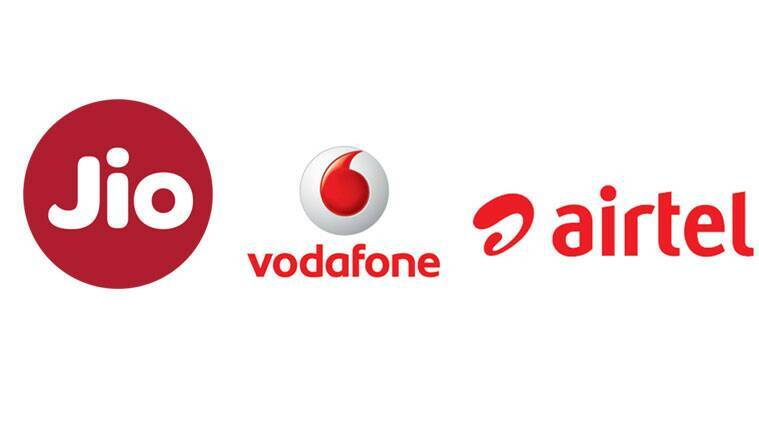 This means Vodafone users will get a total of 39.2GB data on recharging with Rs 199, instead of 28GB earlier. Additionally, Vodafone’s Rs 199 recharge offer comes bundled with unlimited local, STD, and roaming calls along with 100SMS per day. Interestingly, Vodafone’s Rs 198 plan also offers the same benefits as the company’s Rs 199 – 1.4GB daily data along with unlimited calls and 100SMS per day for a period of 28 days. In comparison, Reliance Jio’s Rs 198 offer gives users a total of 56GB data for 28 days. The Fair Usage Policy (FUP) with this plan is 2GB per day. Along with Jio users also get unlimited voice calls, 100 SMS per day and a complimentary subscription to Jio apps. The company’s 1.5GB daily data plans start at Rs 149, with a validity of 28 days. Jio users can recharge with Rs 149 to get a total of 42GB data at 1.5GB per day. Rival Airtel Airtel’s Rs 199 recharge offer gives users 1.4GB data per day, for 28 days. This means users will get a total of 39.2GB data. Users also get unlimited local and STD calls, roaming incoming and outgoing calls as well 100 local, national SMS per day. Essentially, Airtel’s Rs 199 plan offers the same benefits as Vodafone’s Rs 198 and Rs 199 plans.